Capabilities – Scorpion Technologies LLC. Scorpion Technologies thrives on the successful implementation of systems engineering across multiple disciplines to deliver a robust and quality product to its customers. From mechanical packaging and detailed design to electrical circuit design, PWB layout, fabrication and assembly, we have the expertise to ensure customer needs and expectations are met. By practicing extreme flexibility, Scorpion Technologies can integrate into a design from the brainstorming phase all through final delivery of a product. Let us help exceed your next program’s expectations! Scorpion Technologies is a full systems integrator with years of experience in the field of integration and test. From small electrical subsystems needing firmware programming to larger complex designs encapsulating multiple engineering disciplines, we are ready to take your program through ATP and ready for use. Integration and test require the utmost attention during initial design to reduce troubleshooting and fault analysis. Years of following our designs through fabrication, assembly, integration and test has allowed our team to quickly and efficiently pinpoint problem areas and address opportunities for a rapid solution to be executed, saving time and money by avoiding schedule slips. Call us to see how we can help your team be successful. Scorpion Technologies designs and implements engineering hardware tests in support of engineering design verification, failure analysis, and rapid prototype development of quick reaction contracts. Whether following strict program requirements or sketched open-architecture requests, we strive to keep costs down and results high to meet customer needs. Looking to test your hardware? Don’t hesitate to give us a call for a free quote. Scorpion Technologies provides expert cable and harness fabrication to meet your most demanding environments. Whether you’re looking for custom cables to support lab benchtop testing, engineering flight harnesses for design verification, or small to medium quantities to support multi-platform integration efforts, we’re ready to make the right connections a reality. In order to support the fast-paced environment of rapid product development, Scorpion Technologies designs test equipment to ensure a smooth transition to initial manufacturing. From custom circuit cards supporting automated ATP to complete test stations, we provide custom solutions to meet your manufacturing needs. Get us involved early so together we can identify the best possible solution to meet your demanding schedule and hit your milestones with confidence. Transitioning prototype hardware to meet the rigorous world of manufacturing has always been a challenge. Scorpion Technologies understands this and provides it customers opportunities in TDP (tech data package) preparation by offering redline update services to drawing packages that have already gone through the rigor of CDR (critical design review). In addition, our ample 9,000 sqft assembly and integration facility can support LRIP (low rate initial production) of electro-mechanical assemblies to ensure quality and compliance are being maintained. Are you ready to take your project to the next level? Give us a call to schedule an appointment with our team. Although Rapid Procurement may sound like an oxymoron, industry partners like Amazon, McMaster Carr, and Digikey have made supporting rapid prototype engineering hardware not only a possibility, but a reality! Here at Scorpion Technologies, we trust our partners and understand that engineering proof-of-concept designs need to be vetted on a budget to allow the idea to mature and develop into a proven product. All too often programs run out of steam, and dollars, trying to create a perfect solution, only to find out that the customer could have sufficed with a 75% solution to meet critical needs TODAY. Scorpion Technologies is ready to provide experienced and professional services to your next project, give us a call. 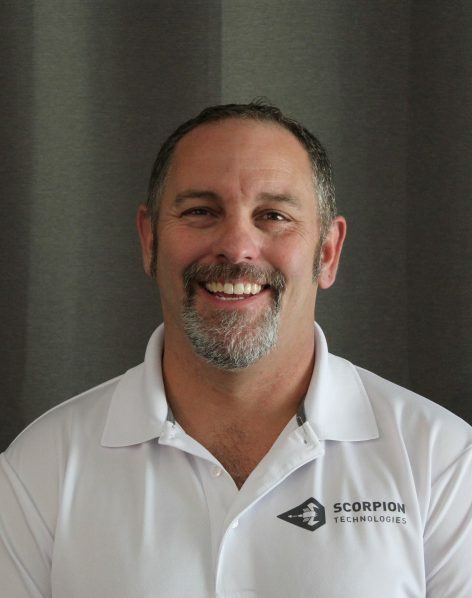 Hello, my name is Scott Thomas and I am the co-founder of Scorpion Technologies, LLC. Here at Scorp Tech I help run the day to day operations as well as perform engineering design and integration tasks. I specialize in rapid prototype work, feel free to contact me to see how I can help you out. I obtained a Bachelor of Science in 1999 from Purdue University in electrical engineering in Lafayette, IN. With over 19 years of experience in electrical design, integration and test with the last 10 years in a rapid prototype environment of electrical design, software design, mechanical design, system integration and field testing, I have had a very well-rounded career. Throughout my career I have been awarded many times including 2 patents. I am a creator, a tinkerer and an R/C enthusiast, at heart and that is seen in my everyday life. Whether it be building a claw machine, from scratch, with a 6th grader for an engineering project or building a new engine for my race car. I keep myself busy with techie type of projects all the time. One of my favorite things to do is build and fly R/C aircraft or multicopters. I like to race FPV miniquads in my free time, as well as just capture video of interesting places on my travels. Carlos E. Garcia, an expert in the area of Rapid Engineering Prototyping and Business Development, is co-founder and owner of Scorpion Technologies LLC. 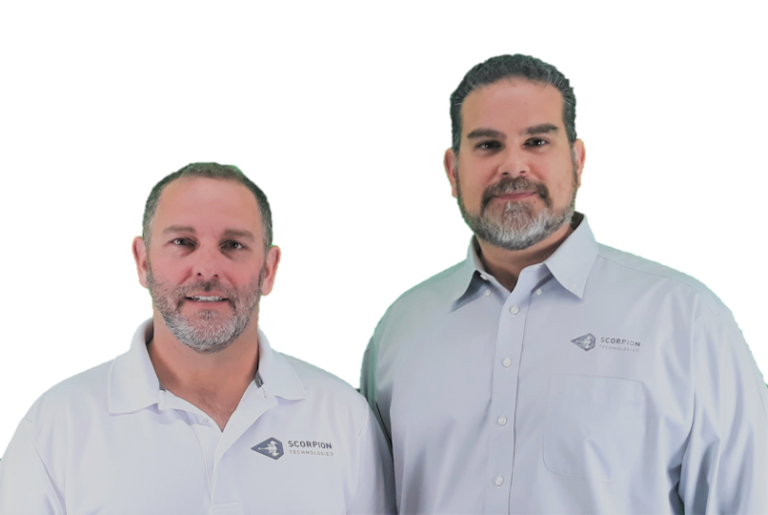 Prior to the creation of Scorpion Technologies, Carlos worked as a Principal Systems Engineer leading teams of engineers and technicians through the rigors of rapid product development, project management and personal development. During his 13 year tenure at Raytheon Missile Systems, Carlos was awarded numerous achievements including earning multiple engineering US Patents, graduating from the Leadership Matters cohort, earning the Star of Today award, and received the Making a Difference award for providing life-saving assistance to a co-worker. 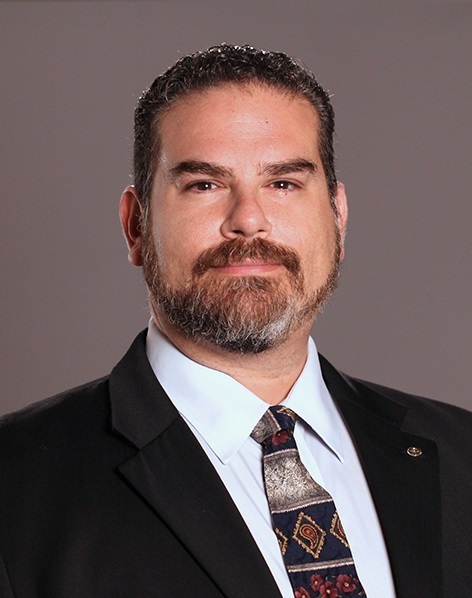 In the community, Carlos has served as President of the Kino Rotary Club of South Tucson, mentored numerous University of Arizona engineering design teams and served as an Engineering Design Day judge. He was recognized in 2013 as a Tucson 40 Under 40 honoree and supports multiple local charities including the Angel Heart Pajama Project and Therapeutic Riding of Tucson (TROT). Carlos graduated with honors from the University of Texas at Arlington with a Bachelor’s of Science in Electrical Engineering with a focus in Analog Electronics and Semiconductor Device Theory. He served as President of Eta Kappa Nu (HKN), Secretary of Tau Beta Pi, and Secretary of S.H.P.E. and worked at the Nanofabrication facility under an NSF REU grant. Carlos lives in Tucson, AZ with his wife and three daughters. He is an avid hunter and spends his free time supporting their real estate management and investment firm.